How would you like to give $10,000 to your favorite school for a financial aid scholarship, while only spending $300 of your own money? 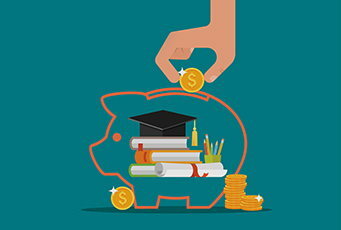 This may sound too good to be true, but thanks to Indiana’s School Scholarship Tax Credit Program administered through the Department of Revenue (DOR), it’s possible. And it’s making some Indiana students’ dreams of a private education a reality! Indiana’s tax credit is available to individuals or corporations that donate to a scholarship-granting organization (SGO) approved by the Indiana Department of Education (DOE). Donors will be eligible to receive a 50 percent tax credit against their individual or corporate state tax liability. These SGO scholarships are given to families who qualify for financial need based on an income threshold. So, the money is only going to families in need of financial assistance. Your donation may send someone to a private school who would otherwise never be able to afford it, while also helping to create greater diversity within our education system. Added bonus? As a proud alumnus of a qualifying educational institution, you can provide private school scholarships to deserving students! Under the current rule, not only do you receive a 50 percent Indiana state income tax credit, but you can also deduct the entire contribution amount on your federal tax return as a charitable deduction. But let’s take it one step further. Through the SGO program, you are allowed to gift appreciated stock, which creates a triple-threat tax savings strategy. Total Stock Value: $10,000 with cost basis of $5,000. As you can see, a $10,000 gift to a qualified SGO, which will be used in funding financial aid scholarships for income eligible families, would ultimately cost Ted only $300. On August 23, 2018, the IRS proposed regulations that would require taxpayers to reduce their federal charitable tax deduction to the extent the taxpayer receives a state or local tax credit in connection with the charitable contribution. The proposed regulations would apply to contributions made after August 27, 2018. Better Hurry to Take Advantage of This Triple Tax Break! If you’re interested in benefiting from this gifting strategy, you need to be aware that the state of Indiana has allocated $14 million in total tax credits, with benefits available on a first-come-first-served basis. The state’s fiscal year runs from July 1, 2018, through June 30, 2019. It’s still early, but less than two months into the fiscal year $2.65 million credits have already been allocated to donors. To find a list of eligible institutions, gifting instructions, and more information about the program, please visit the Department of Revenue or view the list here: Indiana Department of Education. Our Indiana legislators, along with the Department of Revenue and Department of Education, are doing a wonderful service by incentivizing Indiana tax payers with a 50 percent tax credit when they donate to eligible SGOs. The program supports students and families in financial need while financially rewarding donors. Indiana’s School Scholarship Tax Credit Program is a win-win for everyone!